It’s Tax Day, and B&H is offering great deals on last year’s 13-inch MacBook Pro with Touch Bar and 27-inch Retina 5K iMac if you’re looking for something to deduct for next year’s office expenses. Both are selling for $1,599. 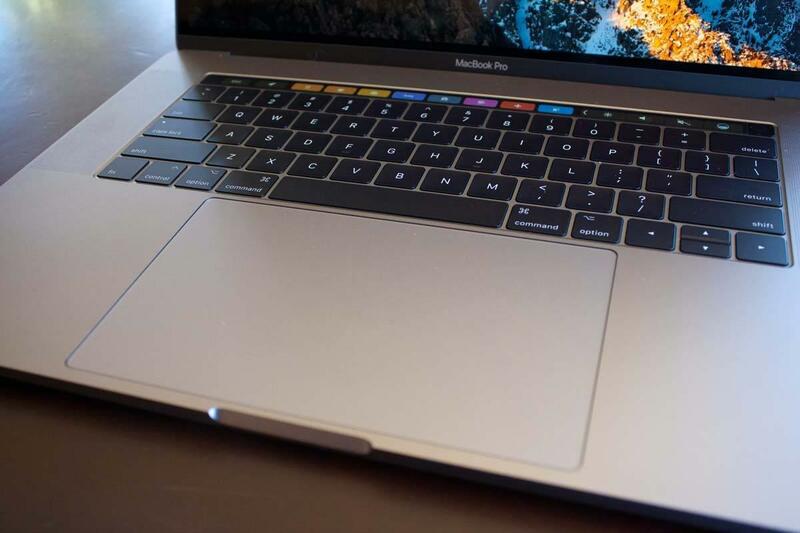 I personally use a MacBook Pro with Touch Bar, and I find it's an impressive and reliable machine (even if I frankly don’t use the Touch Bar all that much). With today’s deal, you’ll be able to pick up the space gray 3.1GHz 13-inch model with 8GB of RAM and 256GB of storage for $200 off the usual asking price. To our knowledge, it’s the lowest price that this particular model has ever been listed for. If portability if less of a necessity for you, then you’ll likely be interested in last year’s 27-inch 3.4GHz iMac 5K with 1TB of storage, which is also being sold for $200 off. Much as with the MacBook Pro, that discount conveniently brings the price down to $1,599. We use a couple of these here in the office, and while we would have liked to have seen a faster speed increase over the 2015 model, it’s hard to deny that it’s a pleasure to work on them every day. As we said in our review last year, "the 2017 iMac continues the excellence that we’ve come to associate with the iMac." If you’re interested in picking up a 2017 15-inch MacBook Pro with Touch Bar, you’re in luck as it’s on sale for 9 percent off at both B&H and Amazon. This model gets a lot of screen time around here as it’s the machine I use for the bulk of my Apple Arcade episodes, and it’s proven to be a trusty companion for everything from playing Rise of the Tomb Raider to hooking up external GPUs. With today’s sale, you can get the space gray 2.9GHz model with 512GB of storage, 16GB of RAM, and Radeon 560 graphics card for $250 off, bringing the price down to $2,549. As today's deal prove, deciding to buy a new Mac need not be a taxing experience.